You are here: Member pages » daniserralta » pictures » Fish eagles. At Queen Elisabeth N.P., Uganda. 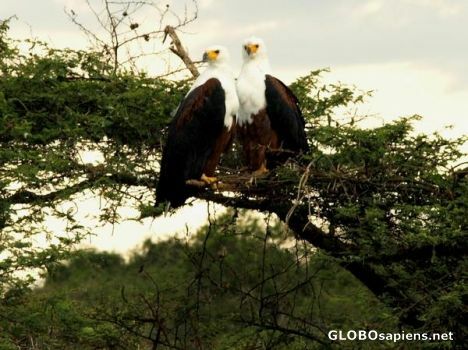 The fish Eagles live in pair forever and are very agresive defending their territory near the water.